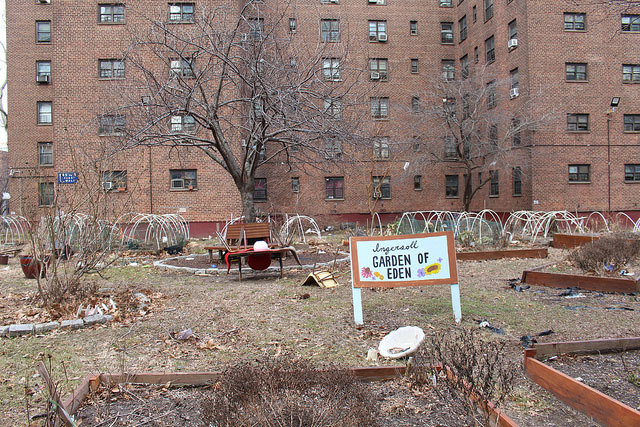 The Ingersoll project’s Garden of Eden grows fruits and vegetables during the warmer months. Photo by Teddy Haines. Nestled into a compact segment of South Brooklyn, the Raymond V. Ingersoll Housing project is encircled by more prosperous neighborhoods. The Metrotech Center sits directly across Flatbush Avenue to the west, alongside NYU’s Tandon School of Engineering. But now, the Ingersoll Houses also find themselves at the center of a heated debate over the future of public housing in New York City. The Ingersoll project is operated by the New York City Housing Authority, which is currently under fire for systemic neglect and abuse of its 400,000 tenants. 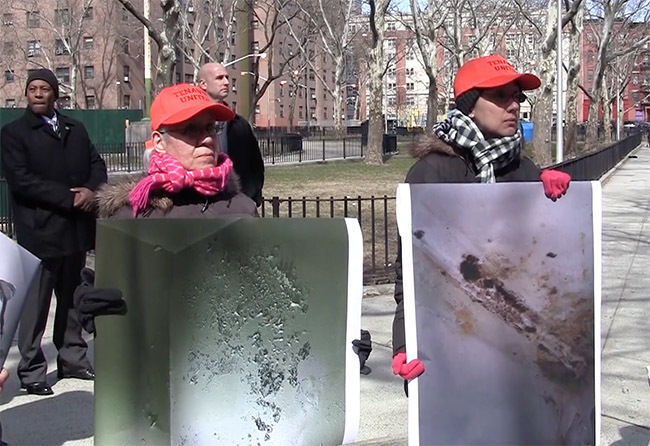 Last June, federal prosecutors accused the authority of covering up appalling living conditions for public housing residents, including lead paint, faulty heating, and infestation by roaches and rats. The report ultimately led to the city government accepting greater oversight from the federal government as it moves to alleviate the crisis. In Ingersoll, deprivation has taken the form of intermittent heating, which puts pressure on families with young children. 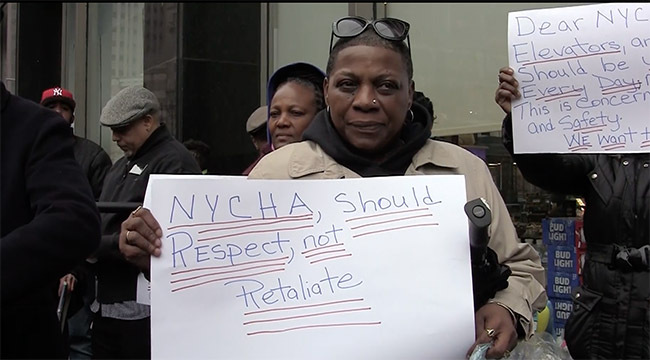 Despite this, residents reject the pessimism that colors public perceptions of New York public housing. Resident Janai Tucker cited familial bonds and the project’s sense of community as sources of strength for its residents. Dwayne Fussell, a former public housing worker, has lived in the Ingersoll project his entire life. And for him, the community’s prospects have improved significantly since the turbulence of previous decades, although heating remains a major concern. These improvements haven’t completely remedied the situation, however. The main obstacle now, according to Fussell, is consistent heating. More than anything, Fussell seemed to take heart from his fellow Ingersoll residents, and the communal spirit they embodied. One of Ingersoll’s productive residents is Michael Pabon. An Iraq War veteran, Pabon assists his neighbors as a carpenter and electrician. And after 12 years in the project with his wife and son, Pabon feels optimistic about the community’s future. 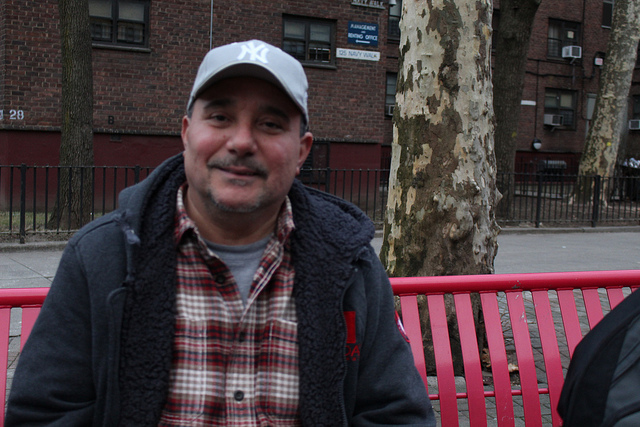 Ingersoll resident Michael Pabon sees a bright future for the project’s residents. Photo by Teddy Haines. Apart from NYCHA responsiveness, Pabon cited other improvements in the neighborhood’s quality of life. He pointed out recent construction of a laundromat and other amenities, as well as the project’s increasing ethnic diversity.